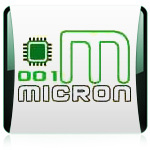 001Micron Tools is one of the best and widely recognized Software Development Company that mainly focused on data recovery software in an effective manner. Our major and foremost target is to help users in restoring their lost, missing or accidentally deleted important documents from computer system hard disk and data storage removable media. The Company is accomplished with well-equipped software lab which is maintained by highly skilled, innovative and talented engineers to provide accurate data recovery solution. 001Micron is the most popular and well respected corporation that provides the diversity of data retrieval products including Windows data recovery, NTFS data recovery, FAT data recovery, USB drive data recovery, iPod data recovery, USB digital media data recovery, Digital picture data recovery, Digital camera data recovery, Sim card data recovery. We are also engaged in every aspect of other software system utilities such that Internet Explorer Password Recovery and Passwords Unmask tool, Website Monitoring Tool, Backlink Checker Utility, KeyLogger, Outlook and Outlook Express Password Recovery Software, MSSQL to MySQL Database Converter, MySQL to MSSQL Database Converter, MS Access to MySQL Database Converter and MSI to EXE Setup Creator. 001Micron Tools and technology, data recovery software products are specially designed for small business enterprises to large organizations in order to retrieve their deleted data. Our expertise and technology make the organization to be more competitive, more efficient, more responsive and more effective. By focusing of developing well-designed affordable tools, Company has maintained an unparallel reputation for quality since its inception. 001Micron Tools, a trusted name in the field of data recovery software is integrated to provide best recovery solutions and services to global customers. Our Business purpose is to provide best data recovery tools designed by highly skilled professionals and stimulated towards the retrieval of lost, misplaced, deleted, erased, accidentally lost files and folders from the Hard disk drives and USB removable drives in very less time. With award-winning recovery software, the Company brings talented teams of designers, web experts, creative software engineers engaged in developing professional and easy to use recovery programs useful for every section of the users. We're focusing on technologies that make recovery process possible from all major data loss conditions and that suit your pocket.